The GE MWF refrigerator water filter is a high-quality fridge filter that is used by a number of refrigerator manufacturers, including GE, Hotpoint, and Kenmore. The GE MWF fridge filter features a block of activated carbon that removes contaminants from municipal or well water giving you healthier, better tasting water and ice. 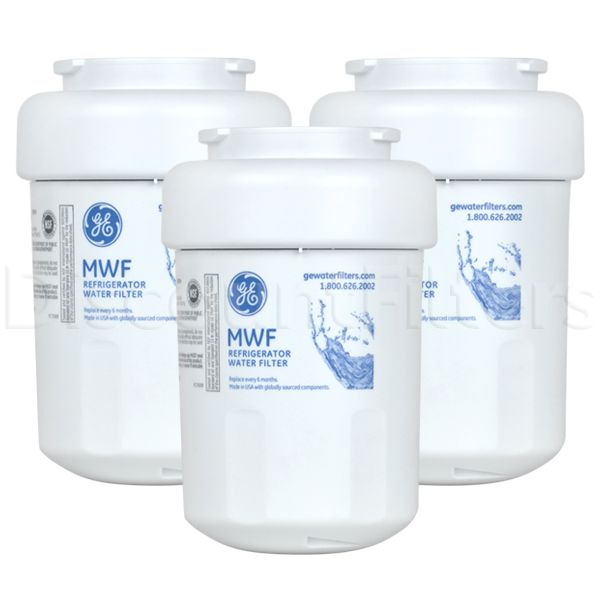 The MWF filter is the most popular filter in the GE SmartWater family of products. The MWF is found in many GE side-by-side and bottom freezer refrigerators and installs with a simple twist. 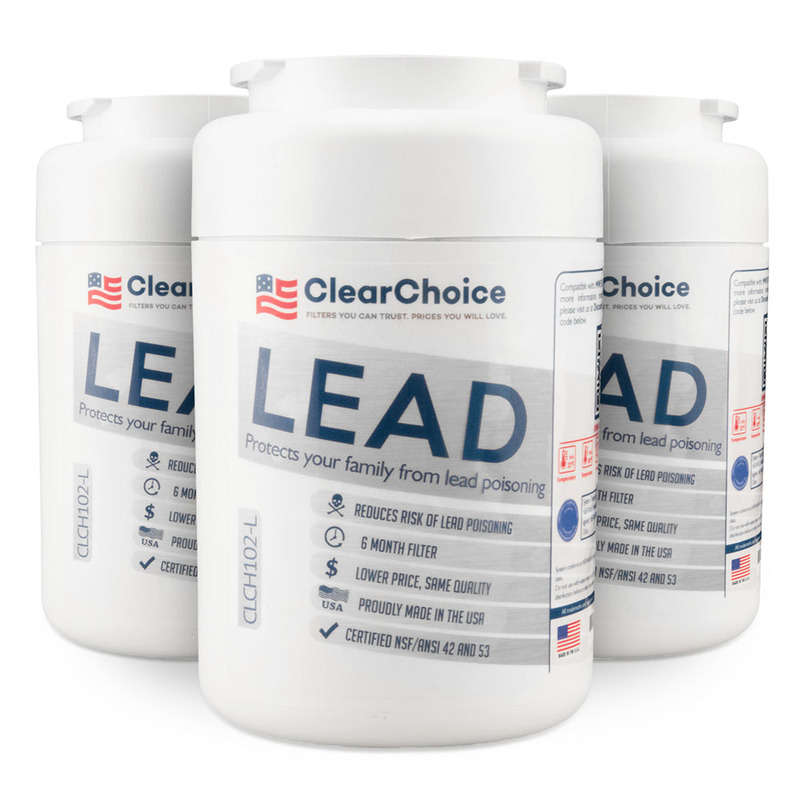 Our customers like the ClearChoice CLCH102 and EcoAqua EFF-6013A as they are offered at a fraction of the price of the factory original filters. All fridge filters from Discount Filters have a one-year satisfaction guarantee - if the MWF filter doesn't meet your expectations, return it (with free return shipping) for a full refund. Because of the great price of the aftermarkets and the quality filtration provided, the aftermarket water filters are our recommended model. Other compatible fridge filter models are RFC0600A, MWFA, SGF-G1, Eff-6013A, GWF, HWF, MWFA, 9991, 9996 and MWFP. Tip: The "change filter" indicator on your refrigerator may be a simple timer or flow device. Consult your refrigerator owner's manual for instruction on resetting the indicator when replacing your filter. It will not happen automatically! 78 compatible alternative filter models below. Marvel at the specifications of our MWF compatible filters. There are three options for the MWF filter. The OEM GE MWF and two Aftermarket options: EcoAqua EFF-6013A and the Clearchoice CLCH102. All of our filter offerings provide fresh, clear water, keeping you safe from harmful contaminants. The aftermarket EcoAqua and the ClearChoice is a high quality and cost-effective filter that uses renewable carbon. Like all of our aftermarket filters, they are guaranteed to fit any fridge ready to accept an MWF style filter. All OEM and aftermarket MWF filters reduce chlorine taste, chlorine odor, help to reduce potentially harmful contaminants found in tap water, and keep a healthy dose of fluoride in your water supply. The advantage the original OEM GE SmartWater MWF filter lies in its Standard 42 and 53 certification. The GE SmartWater has been tested and met such NSF/ANSI International Standards for water purification in chlorine, lead, cysts, turbidity, and other chemicals; the aftermarket filters do not have the certification but perform just as effective and at a much lower cost. 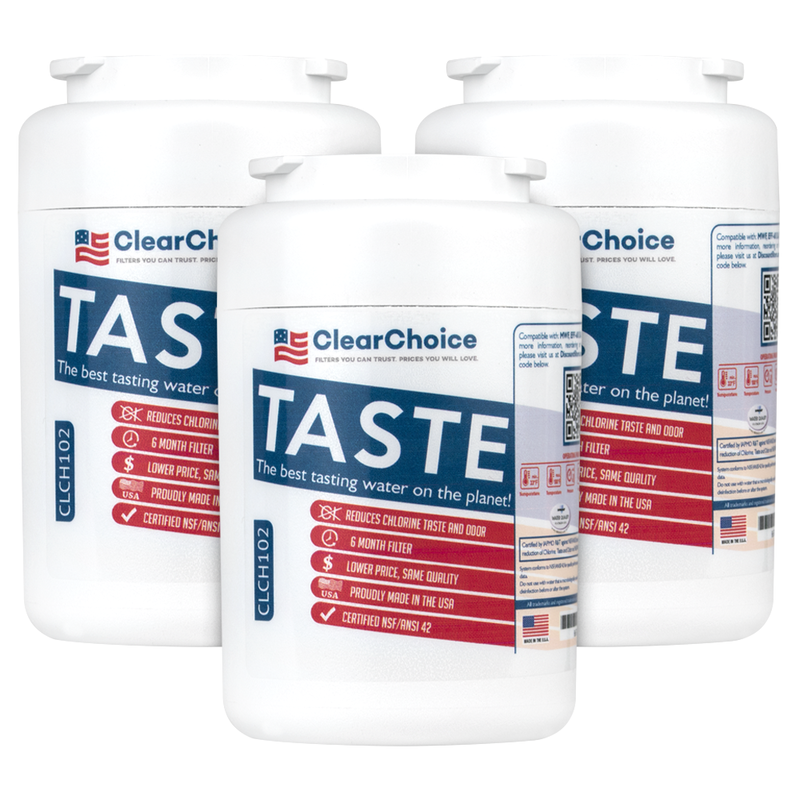 Therefore, we recommend the ClearChoice CLCH102 filter. Our discount filters come with free shipping and returns for up to one year. Perfect fit. It was much easier to order on-line and get the correct filter than try and find a store that carries it. Quick order and Fast delivery! Thank you! This is our second order and have been very pleased with the filters and will continue to order from Discount Filters. We appreciate the speedy delivery too.